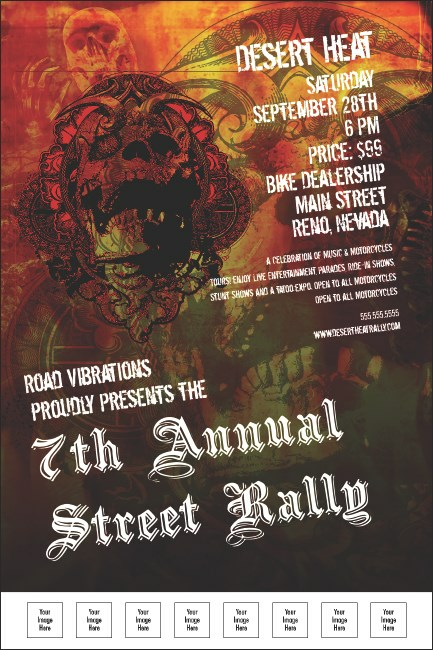 Rev up your motors, grab hold of the handle bars, and hold on for stellar event sales! With colorful flames, skulls, and eight spots to add a custom logo, the Ride Poster template is sure to catch attention. Turning away huge bikers at the door will be your greatest concern. Complete the look of your event! This poster design is also available in matching promotional materials.